Yooka and Laylee (the titular chameleon and bat) live an easygoing life in a wrecked ship, until the evil businessman Capital B, an insect version of Gru from Despicable Me, uses a machine to steal the mysterious One Book, which Laylee found somewhere. And so Yooka and Laylee must travel to the 5 Grand Tomes, books containing worlds inside, to collect the missing Pagies of the One Book. It’s a game scenario that feels cobbled together out of unconnected elements, with no overarching theme to tie it all together. What do a lizard and a bat have to do with quills, books, or an evil corporation? Why should I care about this missing book? Laylee only wants the One Book back so she can sell it for a profit. The overall story feels just as cynical as Laylee’s selfish motivations. And you must be Davy Jones’s daughter. The game’s hub, Hivory Towers, is a meandering mess of hallways and doors and there’s no map, but you must successfully navigate it in order to find your way to the Grand Tomes, giant books which house the game’s 5 worlds. Worlds within books is a concept that holds promise. They could have been unique worlds inspired by different genres of fiction, but instead, the worlds are largely uninspired and uninteresting. Gotta have a tropical world, ice world, etc. The Capital Cashino has the most interesting theme, but casinos have been done to death by the Sonic series. Honestly, I’m surprised there’s no desert or lava world. Maybe they’re saving them for a sequel. This world has ice and snow in it. It’s one of the prettiest worlds. Now, a lazy story and bland worlds wouldn’t be so bad if the gameplay was outstanding, right? Controlling the buddy-duo feels fine, for the most part. 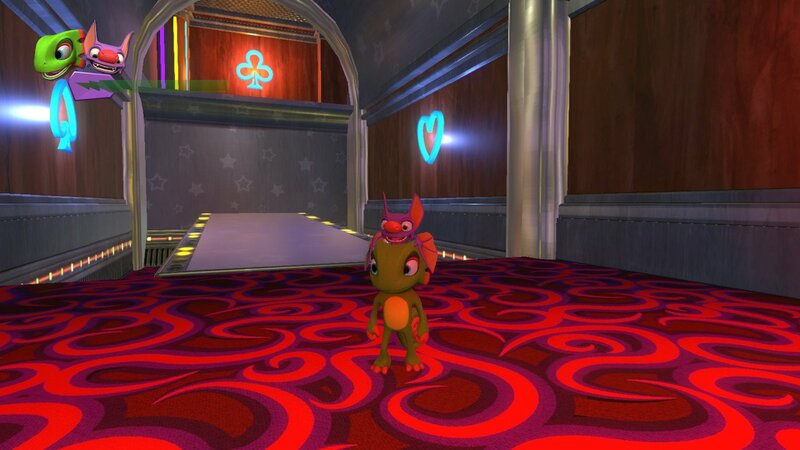 Yooka and Laylee start out with an extremely limited moveset and feel clunky to control initially. However, spending your collected Quills to purchase moves from Trowzer the snake allows you to obtain many more abilities as the game progresses. Some are highly situational (such as using invisibility to sneak past motion-sensing cameras) but other abilities such as the roll, hover, and high jump really expand your abilities and affect the way you play the game. 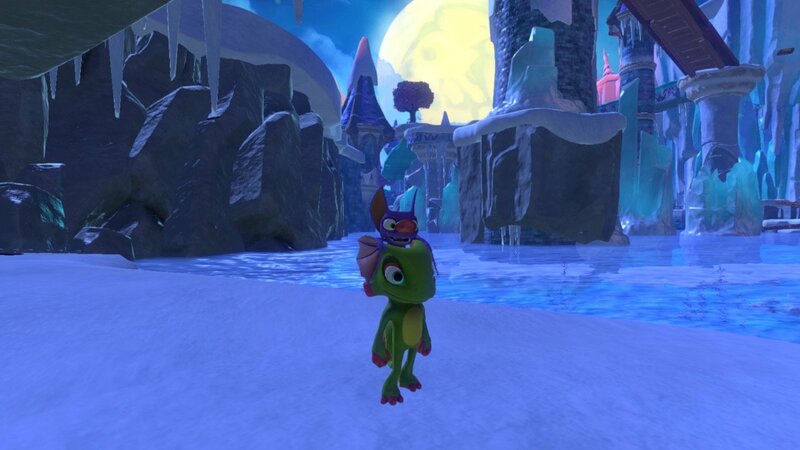 My favorite move is the Slurp State, which allows Yooka to obtain the properties of certain items by licking them with his tongue, including steel, honey, fire, water, and ice berries. These work as time-limited powerups that are used in creative ways throughout the game. 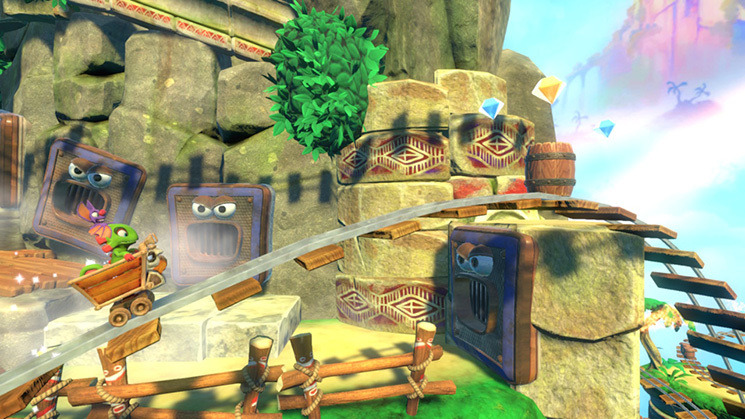 Once you have a few moves under your belt, controlling Yooka and Laylee starts to feel…not good, but good enough. The controls work. Waiting for the power meter to refill. 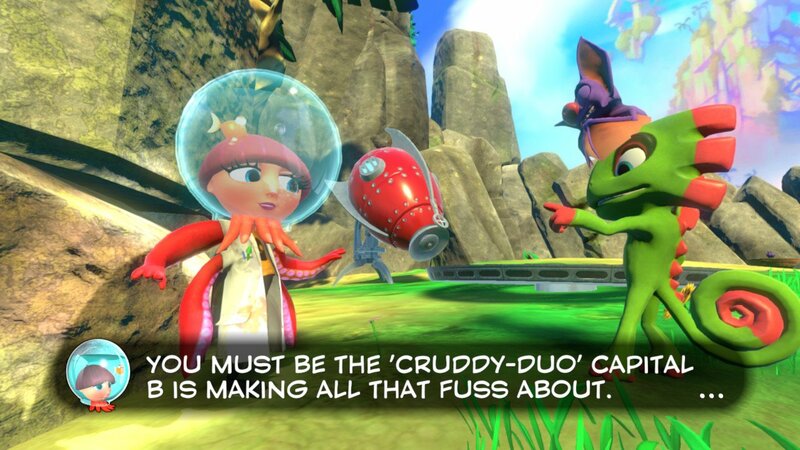 But anytime you’re not controlling Yooka and Laylee directly, things get a little more rough around the edges. Each world has an arcade game, a minecart challenge, and a unique transformation, and none of these feel good. Rextro’s arcade games recycle assets from the main game into frustrating minigames that you have to play at least twice to get the Pagies out of them. Dr. Puzz’s transformations are just functional enough to work, but feel unnecessary. And the minecart challenges (starring Kartos, the God of Ore) are simply awful. They took the challenging but fair (and fun!) minecart levels from the Donkey Kong Country games and added unnecessary boosting, braking, and shooting mechanics. Donkey Kong Country’s minecart levels were a tight, tense exercise in timing and planning ahead. 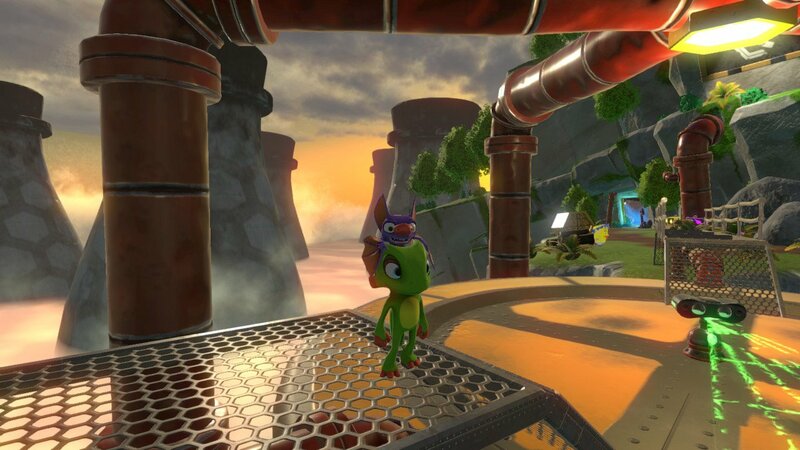 But no matter how many times I attempted to enjoy Yooka-Laylee’s minecart challenges, each run was a clumsy ride through haphazardly placed obstacles. The camera also does a poor job of showing what’s coming up ahead as the minecart track twists and turns through 3D space. You will only reach the end of these minecart segments after countless unfair deaths, and you just have to hope and pray you managed to pick up enough gems along the way to get the Pagie. It’s not all bad though. When controlling Yooka and Laylee, there are countless puzzles to solve, items to fetch, platforming challenges to complete, and more, all in pursuit of those precious Pagies. After you’ve tracked down everything you can find on your first visit to a world, you can return and “expand” the world to unlock even more Pagies to collect. Credit where credit is due, the game has a lot of content with a decent amount of variety. Some of it is even fun. But for every fun Pagie challenge, there are several that feel like busywork. Performing task after task for bossy NPCs is a thankless job. Once you’ve collected the obvious Pagies and Quills, the worlds start to feel rather large and lifeless, and you’ll be spending a lot of time wandering around the large worlds looking for the next thing to do. 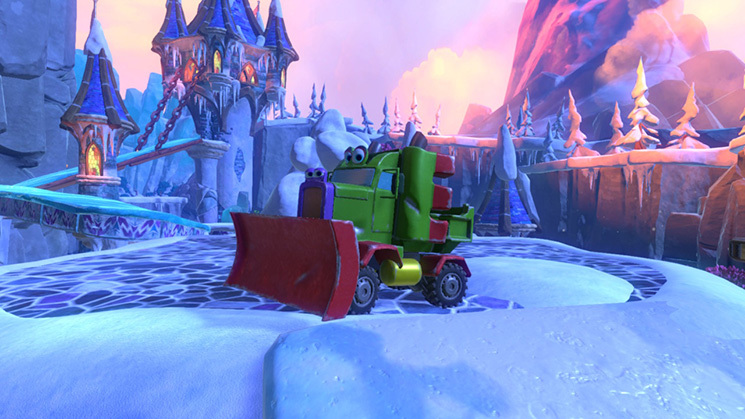 The developers tried to fill in some of the empty space by adding enemies to fight. The same handful of enemy types show up in the hub and in all five of the worlds. You’ve got your squealing Corplets, annoying bees, and sentient eyeballs that possess the nearest inanimate object. You’ll find yourself smacking the enemies away just to stop them from making annoying noises and charging at you. A little more enemy variety would have gone a long way, but the enemies in this game are nothing more than a minor annoyance, and not much fun at all. Everything is green in this joyless swamp world. 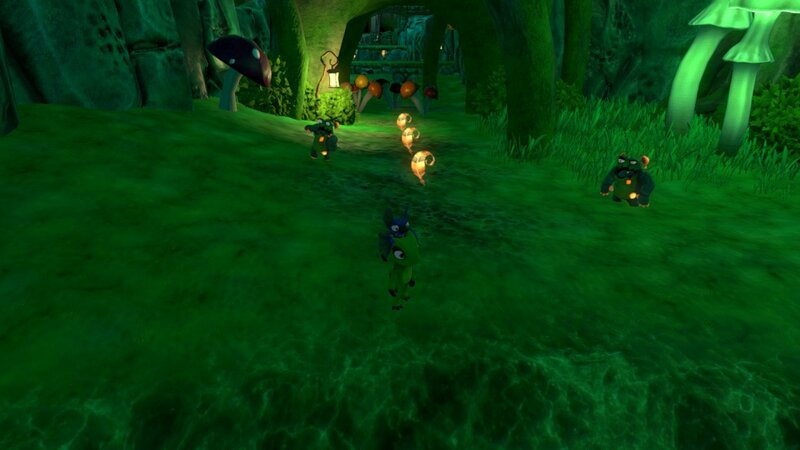 The visual presentation of Yooka-Laylee is, like the gameplay itself, a bit uneven. On a technical level, the Switch port is very solid, running at a consistent resolution and framerate, but the art direction lacks a consistent vision. The main heroes and villains have really strong character designs, but other characters and NPCs look a bit “off.” (Still not sure what they were going for with Vendi.) The ice world, Glitterglaze Glacier is quite nice looking. The next world, Moodymaze Marsh, on the other hand, is horribly ugly. Everything is a sickening shade of green: the ground, the water, the enemies, the background, even Yooka himself. And then after playing through that unpleasantness, you’re greeted with the gorgeous exterior area of the hub world, bathed in warm dusk sunlight. What’s consistent, though is the soundtrack. The game is full of high quality tunes from prolific games composers Grant Kirkhope and David Wise. The soundtrack will remind you of other classic game soundtracks, and the melodies will easily worm their way into your ears for days at a time. The outside area of the hub world is beautiful, and much less confusing to navigate than the indoors areas. 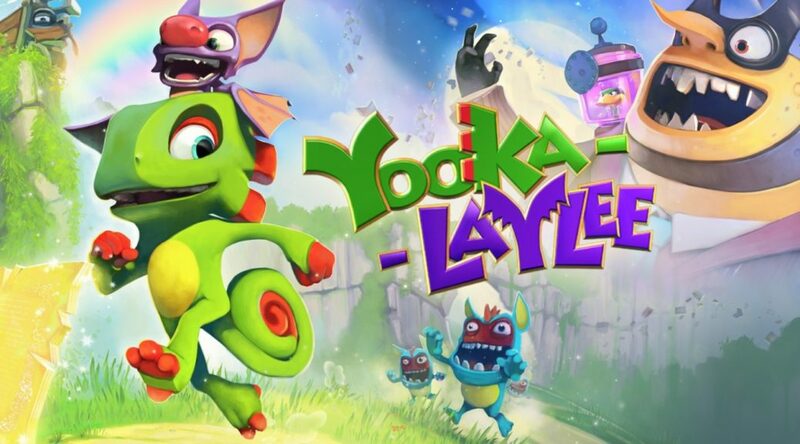 Unfortunately, Yooka-Laylee is not a very good game, and not just because of its “dated” nature as a throwback. The majority of gameplay exists somewhere between boredom and frustration. There are occasional hints of a good game beneath the surface, but the missteps are far more numerous. A forgiving fan of Banjo-Kazooie might find the surface-level nostalgia to be worth their time. Anyone else would be advised to wait for something better to come along. Soup Verdict: This old formula doesn’t have the quality ingredients it needed. A review code was provided by the publisher for this review.